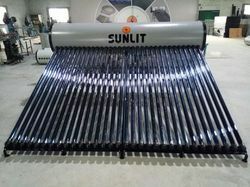 Manufacturer of a wide range of products which include etc solar water heater 500 lpd, fpc solar water heater, 100 lpd solar water heater and solar dryer. 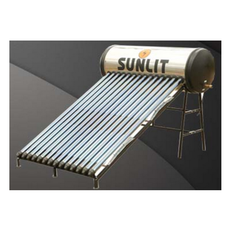 We manufacture and supply optimum quality ETC Solar Water Heater. These water heaters are manufactured from best grade materials, which are sourced from trusted and reliable vendors of the industry. The water heaters offered by us are known for their sturdy construction, resistance to corrosion, low power consumption, low maintenance, easy operations and longer functional life. For reasons of quality standardization, the offered FPC Solar Water Heater is manufactured in accordance with the industry set norms and guidelines. The finest raw materials and modern machines used in its making give the product superior performance and a commendable service life. In addition, it's reasonable pricing, makes the product highly asked for. 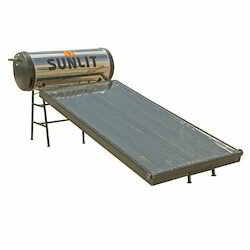 We are offering a wide range of Solar Dryer. We obligated to meet the quality standards as per the customer demand.